Google Cloud Certifications validate the knowledge and expertise of a candidate on Google Cloud Platform. To validate one’s skills as a Cloud Network Engineer, Google has recently launched the beta exam for Google Cloud Professional Network Engineer certification. In this article, we’ll find the details of the Google Cloud Certified Professional Cloud Network Engineer beta exam. At least one year of experience of working on Google Cloud Platform. Have been a part of the networking teams or cloud teams of architects who have been involved in the infrastructure design. Considerable experience in the implementation of hybrid connectivity, VPCs, network services, and security of the network architectures. Ability to ensure the successful implementation of cloud applications using GCP (Google Cloud Platform) console or CLI (Command Line Interface). Google Cloud Certified Professional Cloud Network Engineer beta exam is mainly focused on the recognition and validation of a candidate’s skills to perform the role of a Professional Cloud Network Engineer. To achieve the Google Cloud Professional Cloud Network Engineer certification one has to pass the Google Cloud Certified Professional Cloud Network Engineer exam. Preparing for Google Cloud Certified Professional Cloud Architect exam? Try Google Cloud Professional Cloud Architect Free Test now. To get the credential of the Google Cloud Certified Professional Cloud Network Engineer, the individual has to pass the Professional Cloud Network Engineer beta exam. The format of the exam if just same as other Google Cloud certification exams i.e. multiple choice questions and multiple select questions. You will get 4 hours to complete the exam. The beta exam is currently available in English language only. There is no prerequisite to take the Google Cloud Professional Cloud Network Engineer beta exam. But the candidate should meet the requirements mentioned as above. The candidate can take this exam in-personal at one of the Google certification exam test centers by paying $120 as the registration fee of the exam. The table below gives you a quick look at the exam information for the Google Cloud Professional Cloud Network Engineer Beta Exam. Google Cloud has also released the beta exam for Professional Cloud Security Engineer certification. Check the details of Google Cloud Certified Professional Cloud Security Engineer exam now. Why Should One Take Google Cloud Certified Professional Cloud Network Engineer Beta Exam? Generally, the people have some misconceptions about the beta exam, having doubt whether to take or not the beta exam for the certification. It is correct that the beta exam is for the testing purpose and whenever a new certification is launched, it comes with the beta exam. But it is to test the interest of the audience, level of the exam, and take the feedback of the audience on the exam. There is no difference in the certification or recognition you will get on passing the beta exam. Here are the reasons why you should take Google Cloud Certified Professional Cloud Engineer Network Engineer beta exam. Google Cloud Certified Professional Cloud Engineer beta exam is currently available at the discounted price i.e. $120 whereas the retail price for any Google Cloud Certification is $200. So, don’t think much and take the Professional Cloud Network Engineer beta exam now to validate your skills. The beta exam for Professional Cloud Network Engineer certification is valid for the limited period. Be the one of the first to adopt the Google Cloud Professional Cloud Network Engineer certification and get certified now. Being the new and first launch, the Google Cloud Certified Professional Cloud Network Engineer beta exam is expected to be easier and you will get much time to complete the exam. Due to the low difficulty level, you can easily pass the beta version of the exam. Google Cloud Certification is a global recognition for your knowledge to design, prototype, implement, and manage the GCP network. 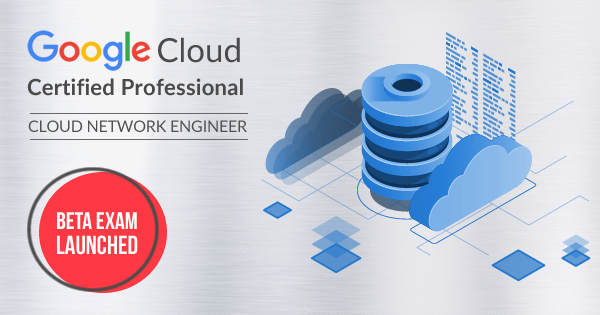 With Google Cloud Professional Cloud Network Engineer certification, you will be globally recognized as a Certified Professional Cloud Network Engineer. With the name of beta exam only many doubts and questions may hover into your mind. For this Google Cloud Platform itself has set up a series of FAQs with the answers so all of your doubts could be clear. Let’s go through the frequently asked questions on Google Cloud Professional Network Engineer beta exam and get answers to all the questions. #1 What is a beta exam? 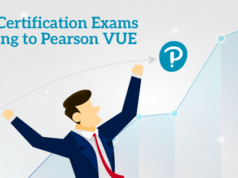 Beta exam is the exam that is released before the actual launch of a new certification or whenever some changes are made in the existing certification exam. GCP experts collect performance statistics on the beta exam and then use these statistics to create a certification level for that exam. #2 Is beta exam different from the final exam? If yes, how? #3 Will I become certified Professional Network Engineer if I pass the Google Cloud Certified Professional Cloud Network Engineer beta exam? Yes, you will become a Google Cloud Certified Professional Cloud Network Engineer if you pass the respective beta exam. #4 How much I need to pay to register for the beta exam? The beta exam fee is less than the fee of real exam. While the fee for final exams are $200, the Google Cloud beta exams are available for $120. #5 What is the duration of Professional Cloud Network Engineer beta exam? Generally, the duration of beta exam is 3-4 hours. 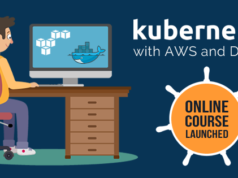 You will get 4 hours to complete the Professional Cloud Network Engineer beta exam. #6 Do I need to pass any other exam as prerequisite to sit in the beta exam? No, there is no prerequisite to sit in the beta exam. You just need to meet some requirements to sit in the beta exam for a particular certification. #7 In which language the beta exams are available? The beta exams for Google Cloud certifications are available in English language only. These are not available in any other languages. #8 What if I couldn’t pass the beta exam for the Google Cloud Professional Network Engineer certification? Beta exams are available for the limited period only i.e. for the time period when new exam is being developed. So, you will have to wait for the launch of final exam. Note that failing in beta exam does not affect the number of attempts that will be given to pass the final Google Cloud Professional Network Engineer certification exam. Ready to Pass the Google Cloud Certified Professional Cloud Network Engineer Beta Exam? Discounted price, long duration, less difficult level, and many others. There are a number of benefits a beta exam offers to the candidate. So, are you ready to give your skills a global recognition? If yes, register for the exam now, and get ready to pass the Google Cloud Certified Professional Cloud Network Engineer Beta Exam. 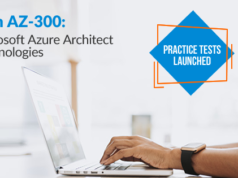 The beta exam for Professional Cloud Network Engineer certification is available now and it will be available for the limited period. So, if you are a GCP Network Engineer with some significant experience, it is the right time to validate you skills with a certification. Register now for the Google Certified Professional Cloud Network Engineer beta exam and start your preparation to become Google Certified Professional Cloud Network Engineer.